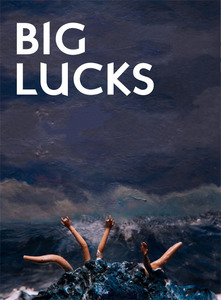 Mark Cugini’s and Laura P’s Big Lucks is hitting its stride. Forthcoming issue #4 features word-products from Elisa Gabbert, Justin Sirois, Michael Kimball, J.A. Tyler. In the prose, department that’s a lot of people in the Universe I want to read. Mike Young was in issue #3. I’m in there somewhere too.